This Cleapatra's Fan Table Runner designed by Accuquilt, The Pattern is available for free. To set an elegant table, start with the GO! Cleopatra’s Fan Table Runner. 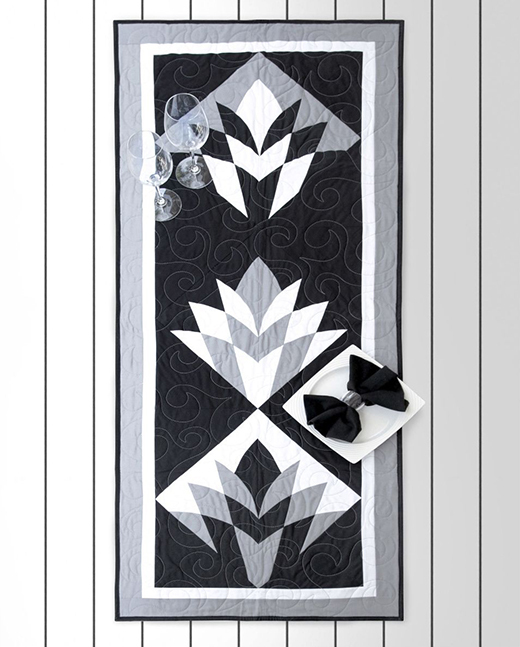 This 23" x 57” runner has sleek, Art Deco-inspired fan shapes and a double border.